Origin / ancestry Pineapple Express Type: hybrid. Parents: Pineapple Express is a combination of the powerful Trainwreck and the respected Hawaiian weed varieties. Aromas, Flavors Pineapple Express has a tropical taste, that of pineapple, mango, sweet, pine, fruity and citrus. 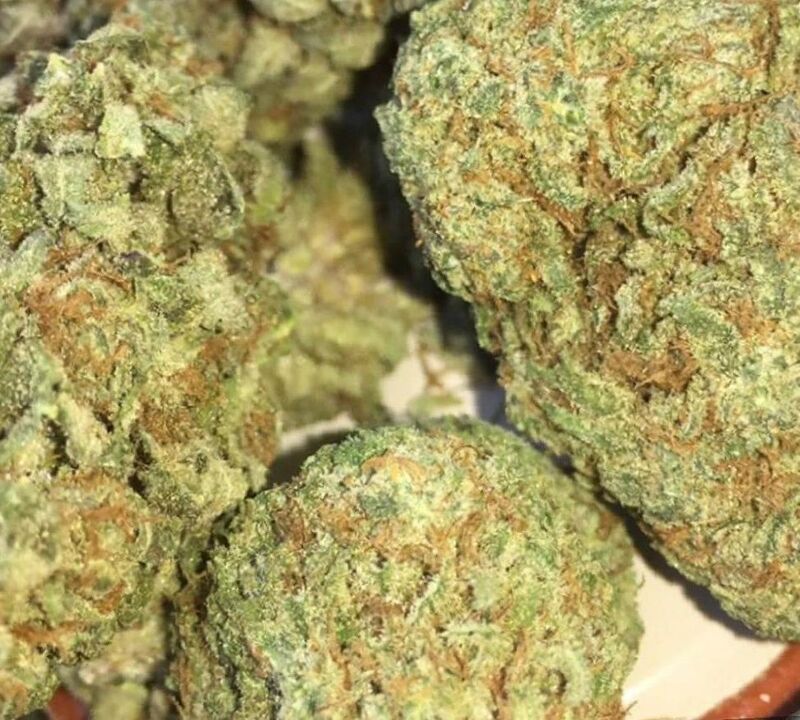 May Relieve Pineapple Express bud is a Sativa-dominant strain known to invigorate and give you the energy you need to battle conditions like Chronic Fatigue Syndrome, Depression, chronic pain, and general lethargy. Indoor/Outdoor Yield Indoor growers can expect eighteen ounces per square meter. 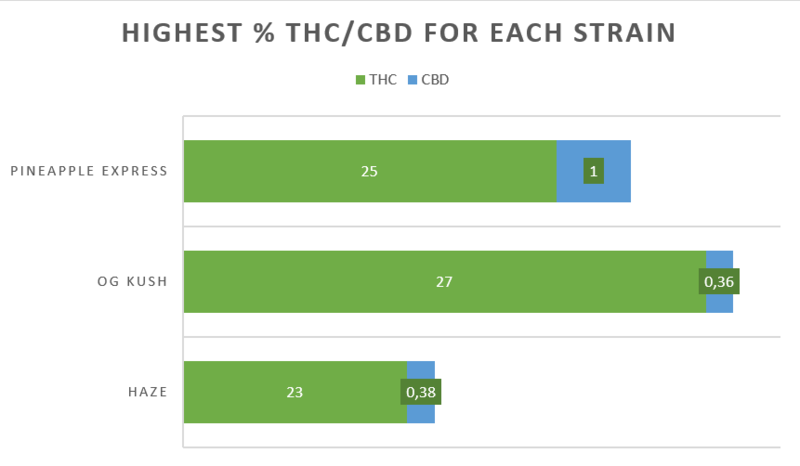 Outdoor growers are looking at nineteen ounces per plant. Harvest Harvest is in the middle of the month of October. Disease resistance Pineapple Express is strong against a variety of pests that ruin crops, including insects, bacteria, viruses, mildew, molds, frost, and fungi. Plant Height Pineapple Express grows to a relatively tall height at or above 80 inches. Adverse effects Pineapple Express has a strong invigorating effect which can cause a panic attack in susceptible persons. It also has a strong anticholinergic effect which can cause dry mouth and dry eyes. Growing difficulty Growing Pineapple Express is of medium difficulty for cultivators of this marijuana variety. Pineapple Express is supposedly named for the stoner movie starring Seth Rogan. However, this is a mellow weed that energizes at the same time. 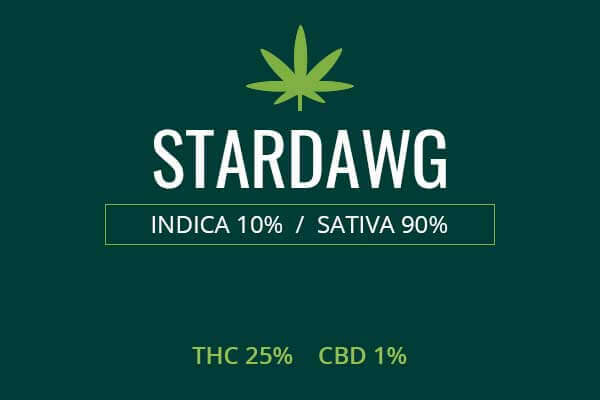 So, this cross of Trainwreck and Hawaiian weed, will give you the energy you need to engage in creative pursuits without locking you to the couch and making you slow. You will have a surge of creative energy and ability. The Pineapple Express plant is tall with a thick center of resinous trichomes and orange pistils carrying strong cannabinoids and terpenes. Its leaves are a deep green, sticking out from the white, sticky-icky center. Pineapple Express has an unbeatable fragrance. You will inhale a potpourri of pineapple, orange, citrus, fresh apple, and fruitiness from this delicious plant. Growing weed from Pineapple Express cannabis seeds and cuttings is said to be of medium difficulty. It will need a warm climate outside, and plenty of light and ventilation indoors. Flower Power fertilizer can add more nutrients to the soil. 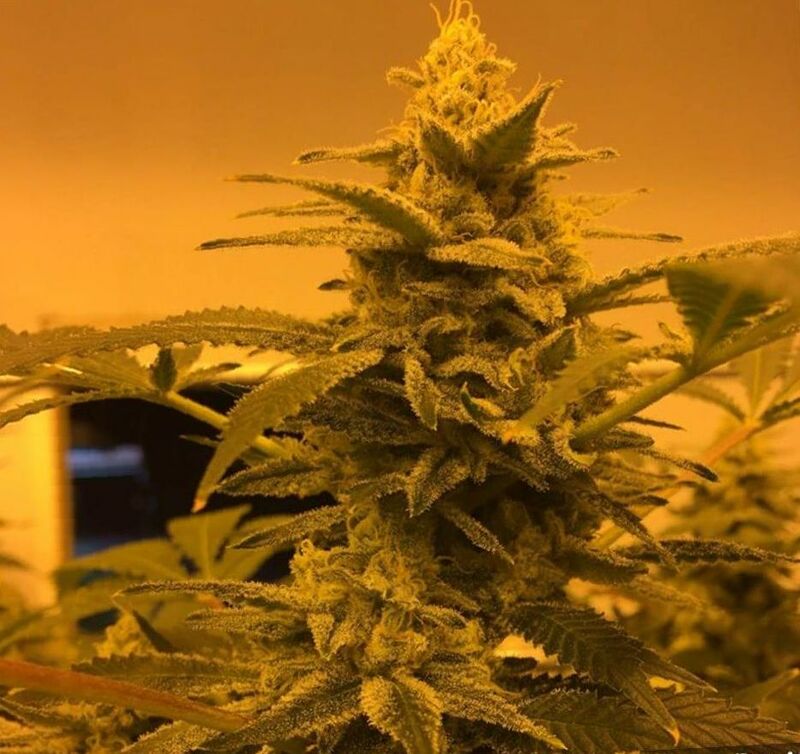 Indoors, Pineapple Express will be ready for harvest in seven to nine weeks. Pineapple Express grown indoors can be expected to yield about eighteen ounces per meter squared. Outdoors, Pineapple Express must be harvested in the middle of October. You can expect a generous yield of about 19 ounces for each weed plant. 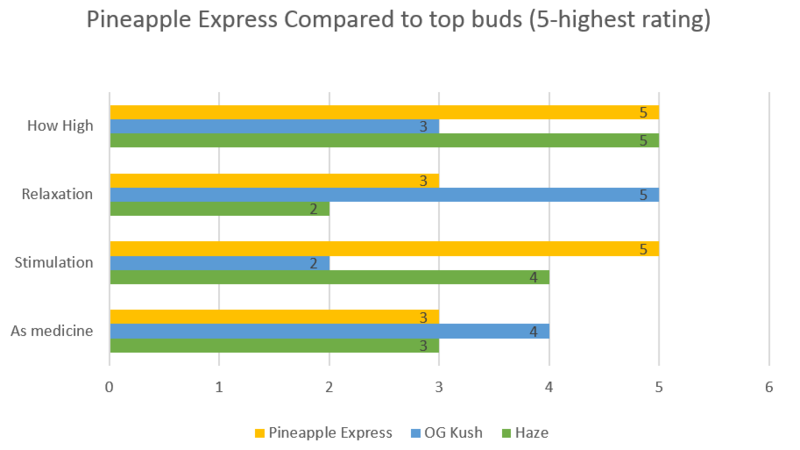 Pineapple Express weed can have midrange to high THC levels, from 19 percent to 25 percent. 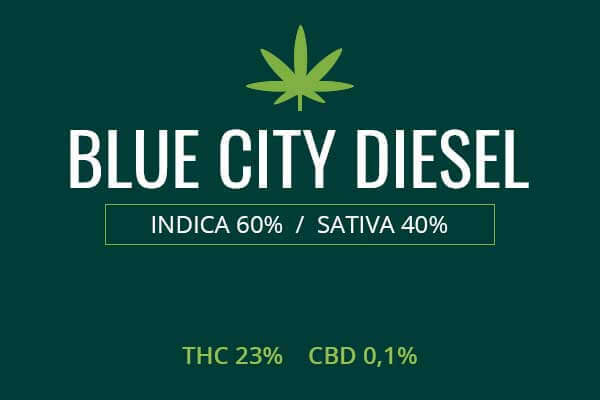 It is Sativa dominant and therefore energizing. Pineapple Express weed is valued for its ability to tackle anxiety and depression without causing a lot of physical lethargy like some weed strains. Because of it’s ability to energize, it can tackle anxiety, without also producing excessive sedation and sleepiness. Pineapple Express is a powerful weapon against chronic pain. Conditions like Fibromyalgia, sciatica, back pain, shingles, and muscle cramps may continually produce pain in the patient, despite attempts to treat the pain. Medications like opioids may cause a deadly and risky addiction. Pineapple express weed can treat these conditions without the excessive risk of addiction, and without making one too sedated to function in everyday life. Pineapple Express is a great choice to treat nausea of many causes. Many times, patients being treated for cancer with chemotherapy and radiation will develop powerful nausea which complicates treatment. Pineapple Express weed can be a delicious way to extinguish nausea for good and to stimulate appetite so that the patient is able to eat. Once the patient’s appetite has returned, the next step is to get a good night of sleep. Pineapple Express can help with this also, despite it’s simulating effect. As you feel the relief of pain and anxiety, a feeling of peace can lull you into a peaceful slumber at night. Pineapple Express is a steady, smooth high. The effect is first of all, delicious, fruity, and tropical. The smoke will dispel any sense of nausea and harshness and allow you to take in a lung full. Soon, a smooth high will take you and uplift your spirits. Pineapple express is a happy weed strain. It makes people feel happy and sociable. This is a good weed to use for creative pursuits. It can help take you through an art project, or help you create new art in dance or painting. You will enjoy this weed and use it to continue to be happy and productive. Okay, so here’s my experience with this weed. First and foremost, I’m so glad it was worth it because this stuff is so hard to come by. I mean I’ve been hunting it for almost three weeks before I finally found it. 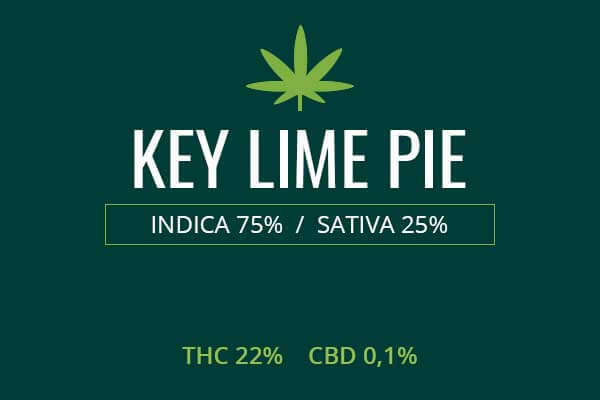 So, I knew it had a high THC content – which was one of the reasons I was looking for it – so I felt a bit disappointed when I didn’t feel any effects after several puffs. Then, I felt so energized and uplifted I felt I could do anything! A full body relaxation that follows is also totally worth it. This weed has the ability to assist with chronic pain. I’ve been smoking it for quite a while now and I know what I’m talking about. How does it affect me? Well, it induces almost a jelly-like sensation over my body that most of my pain medications simply cannot deliver and makes me forget about the pain in minutes. Truly amazing. It’s not my favorite hybrid, but it’s a really good one, too. 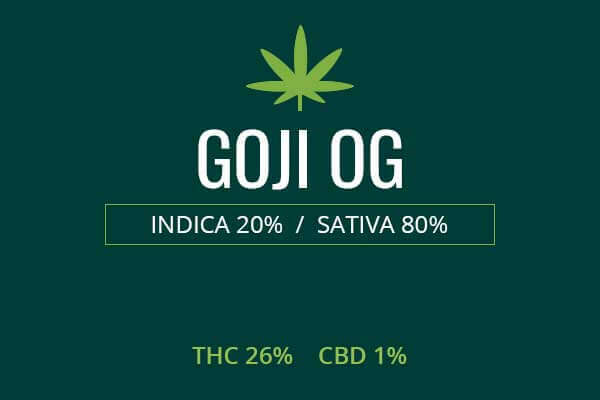 It settles my body and uplifts my mind, and its strong THC content helps with my mood disorder. Beginners beware, though: Pineapple Express marijuana can produce some unpleasant side effects if you don’t know when to stop. Picked half of a gram of this weed not so long ago to help with my joint pain and it did the job beautifully. Plus the high is strong but keeps me fairly functional and even somewhat talkative. I like it. I’m very pleased and going to get some more soon.